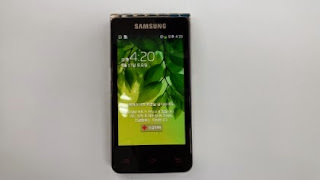 It seems that flip phones are soon to make a comeback with Samsung (these guys are doing the most) introducing a "Galaxy Folder" in South Korea (heck...these flip devices never went out of fashion over there). 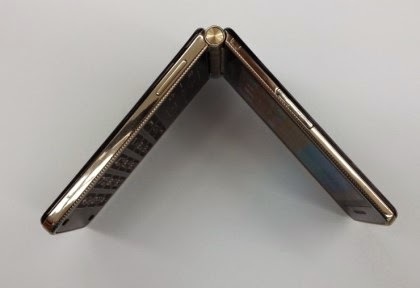 The Galaxy Folder according to the leaked manual is supposedly to sport a dual 3.7inch 800 x 480 pixel AMOLED screen (that's bigger than the iPhone 4/4S, and it's got two of it, one on the outside and one inside), 2GB RAM, LTE and a Qualcomm Snapdragon 400 processor. Looking at the photos of this device, it brings back nostalgic memories of my first phone a flip phone (a CDMA phone. made by AudioVox or is it Motorola) and also that of the most popular flip phone ever, the Motorola V3. I really hope that these sort of devices really take off and more of these are made.